SEMAFO Inc. (TSX: SMF) (OMX: SMF) and Savary Gold Corp. (TSX-V: SCA) are pleased to announce that they have entered into a non-binding letter of intent contemplating the acquisition by SEMAFO of all of the outstanding common shares of Savary not already owned by SEMAFO. Under the terms of the LOI, all of the issued and outstanding Savary Shares will be exchanged on the basis of 0.0336 SEMAFO common shares for each Savary Share. The Exchange Ratio implies consideration of C$0.10 per Savary Share, based on the closing price of the SEMAFO Shares on the Toronto Stock Exchange on February 8, 2019. This represents a premium of 100% based on the closing price of Savary Shares on the TSX Venture Exchange on February 8, 2019. The Proposed Transaction value (excluding SEMAFO’s existing 15.5% equity interest) is approximately C$22.7 million on a fully diluted in-the-money basis, representing 2.2% dilution to SEMAFO shareholders. The LOI provides for exclusivity until March 11, 2019 to enter into definitive agreements. The execution of any definitive agreements(s) is conditional on, among other things, all of Savary’s management, the members of its board of directors and certain key shareholders holding in the aggregate 29.3% of Savary Shares entering into support agreements concurrently with the definitive transaction agreements on the above terms. Concurrently with this announcement, SEMAFO has separately announced a maiden inferred mineral resource estimate of 2,100,666 tonnes at 5.35 g/t Au for 361,288 ounces at its Bantou Zone, which is contiguous to Savary’s Karankasso project. Both projects are located approximately 170 kilometers south of Mana. Entire 1,250 km² Truckable to Central Plant – Ore from the entire consolidated land package could be trucked to a central plant, given a current tentative plant location in the north west of SEMAFO property. Economic trucking distance is ~25km depending on grade and recovery. Significant Consolidated Resource Base – Combination of existing mineral resources (Savary’s Karankasso hosts inferred resources of 12.3 Mt at 2.03 g/t Au for 805,000 oz; SEMAFO’s Bantou has inferred mineral resources of 2.1 Mt grading 5.35 g/t Au for 361,000 oz) into a consolidated resource estimation post-closing will provide a significant base on which to expand. If SEMAFO decides not to pursue further the Proposed Transaction, or if such transaction is not consummated for any reason, SEMAFO intends to continue to review Savary’s business affairs, capital needs and general industry and economic conditions, and, based on such review, SEMAFO may, from time to time, depending on market and other conditions, increase or decrease its ownership, control or direction over the shares or other securities of Savary, through market transactions, private agreements, public offerings or otherwise, or approve a corporate transaction with regard to Savary. A copy of SEMAFO’s related amended early warning report will be filed with the applicable securities commissions and will be made available on SEDAR at www.sedar.com, a copy of which may be obtained by contacting Eric Paul-Hus, V-P, Law, Chief Compliance Officer and Corporate Secretary, at 514-744-4408. Norton Rose Fulbright Canada LLP is acting as SEMAFO’s legal advisor. Red Cloud Klondike Strike Inc. is acting as financial advisor to the Board of Directors of Savary. Dentons LLP is acting as Savary’s legal advisor. 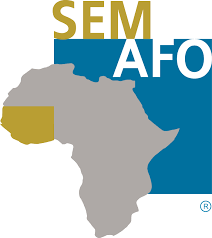 SEMAFO is a Canadian-based intermediate gold producer with over twenty years’ experience building and operating mines in West Africa. The Corporation operates two mines, the Boungou and Mana Mines in Burkina Faso. SEMAFO is committed to building value through responsible mining of its quality assets and leveraging its development pipeline. Savary is a Canadian exploration company focused on exploring and developing the Karankasso Gold Project in Burkina Faso. The Company holds an approximate 75.2% deemed joint venture ownership at year end 2018 and is the operator of the joint venture. The project is located within the Houndé Greenstone Belt, which hosts SEMAFO’s Mana mine, Roxgold’s Yaramoko Mine and Endeavor’s Houndé Mine. The project contains an inferred mineral resource estimate (November 2, 2017) of 12.3 million tonnes (Mt) grading 2.03 g/t gold for 805,000 ounces.